30 May 2013: Malvern, UK: Malvern Instruments Inc. has scored a decisive win in the final round of a long-running court battle waged by Wyatt Technology Corporation regarding the sale of Malvern’s Zetasizer Nano range in the US. Wyatt had alleged copyright infringement of software and other materials, false advertising and theft of trade secrets, and sought damages from Malvern in excess of $25 million (USD). However, Wyatt has ended up having to reimburse Malvern more than $2 million (USD) in respect of attorneys’ fees and costs. Wyatt first filed the lawsuit against Malvern in December 2007, but in 2010 conceded that it would be incapable of proving its claims. Judgement was entered in favour of Malvern who were also awarded $2,001,213.56 plus interest for attorneys’ fees and expenses. Both the findings and the award of these costs were appealed by Wyatt. 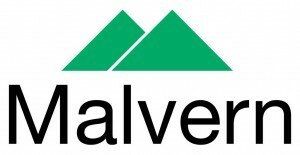 In a disposition filed on 16 May 2013, the United States Court of Appeals for the Ninth Circuit upheld both the original ruling and the award of costs to Malvern Instruments. In reviewing Wyatt’s Lanham Act claims, the Court found that, given Wyatt’s repeated failure to meaningfully litigate the issues it put before the district court by bringing the lawsuit, it may be said fairly that “plaintiff’s case is groundless, unreasonable, vexatious, or pursued in bad faith”. Malvern provides the materials and biophysical characterization technology and expertise that enables scientists and engineers to understand and control the properties of dispersed systems. These systems range from proteins and polymers in solution, particle and nanoparticle suspensions and emulsions, through to sprays and aerosols, industrial bulk powders and high concentration slurries. Used at all stages of research, development and manufacturing, Malvern’s materials characterization instruments provide critical information that helps accelerate research and product development, enhance and maintain product quality and optimize process efficiency.Our products reflect Malvern’s drive to exploit the latest technological innovations and our commitment to maximizing the potential of established techniques. They are used by both industry and academia, in sectors ranging from pharmaceuticals and biopharmaceuticals to bulk chemicals, cement, plastics and polymers, energy and the environment.